But a review with a difference. Hello, I am writing from Headline publishers to ask whether you might like to review the book Until Tuesday by Luis Carlos Montalvan on your blog Learning From Dogs. I understand that the title of your blog is a metaphor, but in this case it is particularly apt, as the book details a very special relationship between a man and his dog. The book is written by a retired U.S. Army captain, Captain Luis Carlos Montalvan, and it describes the way in which the Captain’s participation in the army and in Iraq in particular, left him suffering from an extreme case of Post Traumatic Stress Disorder, so much so that even performing small daily tasks were almost impossible for him. That is, until service dog Tuesday was brought into his life. Tuesday truly taught the Captain how to function again, and furthermore, how to enjoy life again. I believe that the blog’s posts such as ‘Dogs and integrity’ and, indeed, the blog’s opening statement, indicate that this book might be of interest to you. Well Jon, at that time, still wasn’t clear of the last hurdles of his MA, so I offered to do the review and contacted Headline and, as a consequence, Montalvan’s book arrived here in Payson yesterday. Frankly, although flattered by the nice words written about Learning from Dogs and the invite to review the book, I didn’t have a clue as how to approach the job in hand. To be honest, I still don’t! So I am not going to study how other book reviews are put together, I’m just going to give you my feelings and reactions as they happen. It was a busy day so I did no more than open the envelope, read the front and back covers of the book, plus the single page ‘flyer’ from Headline Publishing included in the envelope. This is the front cover of the book (slightly different layout to the American version, by the way) which for any dog lover (we have 12 dogs here in Payson) is obviously eye-catching. A few days later, Tuesday quietly crossed our apartment as I read a book and, after a nudge against my arm, put his head on my lap. As always, I immediately checked my mental state, trying to assess what was wrong. I knew a change in my biorhythms had brought Tuesday over, because he was always monitoring me, but I couldn’t figure out what it was. Breathing? Okay. Pulse? Normal. Was I glazed or distracted? Was I lost in Iraq? Was a dark period descending? I didn’t think so, but I knew something must be wrong, and I was starting to worry … until I looked into Tuesday’s eyes. They were staring at me softly from under those big eyebrows, and there was nothing in them but love. When I put my hand on his head, he stepped on to the couch and raised his face to my own. We stared at each other for a few seconds and then, slowly, Tuesday licked me. Yes, on the lips … and the chin … and the nose … slobbering all over my face with that big slow-moving tongue. That’s the moment when Tuesday, after all his caution, stopped being just my service dog, and my emotional support, and my conversation piece. That’s when he became my friend. I closed the book. There were wet corners to my eyes, my voice was unsteady as I said to Jeannie, “Well I better get on with some stuff.” and left the room. I was transported back to the start of 2007 when I had my own share of crap to deal with and having my friend Pharaoh, my German Shepherd (that’s him on the home page of Learning from Dogs) with me was my salvation, and the key to him and me finding this beautiful woman, my wife Jean, a dog lover extraordinaire, and a life that I couldn’t even have dreamt about. Funny old world! UNTIL TUESDAY is the story of how Tuesday, a service dog, helps to heal a shattered soldier. Luis Carlos Montalván is a 17-year veteran and retired captain of the US Army. Even after suffering stab wounds, a traumatic brain injury and three broken vertebrae, Captain Luis chose to remain at his post on the Iraq-Syria border. In his mind, he had come this far, now wasn’t the time to abandon his comrades. However, when Luis returned home, the pressures and injuries proved too much to bear. Physical disabilities,agoraphobia and crippling PTSD drove him to the brink of suicide. And that’s when he met Tuesday. UNTIL TUESDAY entwines Luis’ story of courage and bravery with that of his trusted dog, Tuesday, and shows how a brave soldier who fought tirelessly for his country, found a way back from the devastation of being injured in action, with the help of his canine friend. More on Bill McKibben’s book, eaarth. Sue, my pleasure as always. Jean is now heavily buried in the book so it may be a while before I can continue the review 😉 You enjoy the rest of the week-end, P.
I have almost finished the book and anyone who has ever loved a dog will most definately not only understand much of what Captain Montalvan describes in his relationship with Tuesday, but also be educated to the daily grind our military men and women experience. Captain Montalvan vividly describes the daily dangers of Iraq and more humbling, his dedication to the Army. On a personal note, we have a seven month old Novia Scotia Duch Tolling Retriever (looks very similar to a Golden Retriever) and Captain Montalvan’s decriptions of Tuesday face as well as his emotions as they relate to Tuesday are so similar to those I feel for my dog. I’m so glad I picked this book up. Susan, first a big thank you for stopping by and taking the time to write your wonderful words. I’m now about half-way through the book and, I suspect, experiencing the sorts of mixed emotions that you refer to. 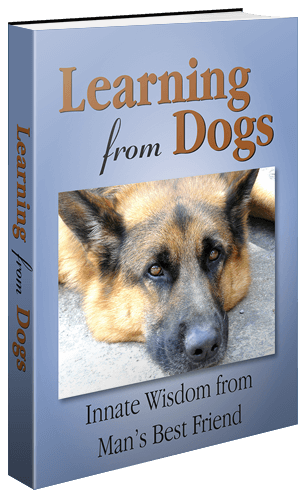 Hopefully within the next couple of weeks I shall complete the review – somewhat slower than the publishers would have wished, I’m sure – and publish it on Learning from Dogs. Best wishes, Paul. Thank you Luis and Tuesday for educating us about the pain of veterans searching for their lost souls, for proving there are many kinds of invisible wounds and most pivotal, the power and commitment to find that unconditional love and how allowing it to work in our lives can heal us all.